AutoExpert is today the core of the most important Motoring Media Group in Romania, with addressability to a wide range of readers – from enthusiasts that emotionally judge the automobile (AutoExpert Magazine and www.autoexpert.ro) to the judicious that manage company cars (FloteAuto magazine and www.floteauto.ro), from the adrenaline lovers (MotorXpert magazine and www.motorexpert.ro) to the freedom on water devotees (YachtExpert magazine and www.yachtexpert.ro) or all the way from the ladies (www.missauto.ro) to the children (AutoExpert Junior Collection). A large number of special editions and projects, from informative and educational guide, all in a permanent endeavor to be useful to our readers and to contribute to the correct development of the specific markets. From 2018 we are editing Cargo&Bus, (www.cargo-bus.ro) the oldest Romanian transport magazine, with an uninterrupted monthly appearance from 1996. We also started in 2018 the first media dedicated to the Romanian automotive industry – AutoExpert Industry. By partnering up with the Italian group Editoriale Domus, we hold access to global information, to the experience of a network of partners from 18 important countries from almost all continents, as well as to interesting projects. We are also suppliers of interesting features, subjecting on the Romanian specific. So far, we have got 4 well-defined binomials – AutoExpert – Quattroruote, FloteAuto – Tutto Trasporti, MotorXpert – Dueruote, AutoExpert Junior – Quattroruote Junior and we wish to extend this partnership. In the automotive media since 1994, he has developed multiple editorial projects, has formed individuals and has built teams, has been selected “Car Journalist of the Year”, is former president and current member of the Car Media Association board and member of the jury that designates “Romania’s Car of the Year”. Going into the new millennium coincides with starting off the AutoExpert project, meant to be, from the very beginning, a car magazine “Made in Romania” for the Romanians. Starting with that, there have obviously been arising new projects. Has been working, for almost 20 years, as editor-in-chief of various famous international publications. Under his lead, local editions of Auto Motor und Sport and Auto Bild have become market leaders in Romania. He has tested over 1.500 different automobiles and has driven for over 1.5 million kilometers for various tests. Starting the fall of 2014, he has been the editor-in-chief of AutoExpert, the oldest local car magazine. Răzvan Măgureanu has been working on the development and the start-off of a high number of projects and special issues and on the other publications / webpages of the group. Automotive journalist since 1997, editor-in-chief of several publications in Romania (Auto Mondial, MotorXtrem or auto motor and sport) and publisher of the first publication dedicated to classic cars „MotorClasic Magazin” since 2015. His extensive experience in the field of automotive journalism has been doubled by practicing sporting performance motoring, evolving since 1997 in the most important disciplines of national motor racing, rallies, circuit and hillclimb. From 2018 onwards, he is editing the Motorsport Magazin – the only publication that deals with the phenomenon not only from the point of view of sporting results, but also from the passion of the athletes, organizers and their partners for the success of this world show. A work that aims not only to validate the true performance but also to put Romania on the map of the world motorsport, presenting the whole crowd of Romanians competing abroad as well as the internal competitions. At the same time, since 2017, following an older passion, he has participated in the National Yachting Championship and the Romanian Cup, being close to the national nautical phenomenon. Ada Ștefan holds a wide experience of 25 years in the economy media. After the one-year apprenticeship at Tineretul Liber, she consolidated her career at România Liberă, Financiarul and Income Magazin, where she took turns in being a reporter, a sub-editor and a division chief. She loves to say that 80% of everything she knows was learnt in her first three years of journalism. She hasn’t yet finished with the rest of 20% and the FloteAuto magazine is just where she loves to write and continue to specialize in the business media. Between 1996 and 2000, he worked for the AutoMondial magazine and, starting the year 2000 to present, he has been activating at the AutoExpert magazine, being one of the founders of the magazine, together with Florin Micu. He is widely interested in operation and maintenance issues of vehicles especially, highlighting useful aspects of their use in his articles. At the same time, he is a member of the Romanian Writers Association, of the Militray Writers Association and other literary societies, as well as the President of the Romanian Haiku Association. Bogdan has been in the car media since the year 2000, meanwhile testing hundreds of cars. He has also gone through the data base (by cars, naturally). For him, each and every car is a joy, each and every test holds a challenge, each and every feature is a ballance between numbers and sensations. If there were no cars, he’d keep focus on his second love: bicycles. In 2019, he celebrates his 30-year anniversary in the media. He made his debut in the sports press, but he did not stop at it, approaching various other fields, from business to lifestyle, from music to cars and motorsport. He conceived newspapers and magazines, he is constantly a TV commentator and carries out radio programs, he has published 10 books on motor racing and on the history of automobile. Starting the winter of 205, he has been the editor-in-chief of Yacht Expert and a writer for the car publications that we are editing. A graduate of the University of Transportation, Ionuț has been engaged in the sports media for 14 years, working for Gazeta Sporturilor, Monitorul de București and Jurnalul Național. Back in 2011, he joined the Cargo&Bus family and started to get to know and love the commercial vehicles. From that moment on, trucks are not just obstacles hard to overtake along the road, but gentle giants that bring to the outskirts of the cities, all the goods that we need in our daily life. By 5 years old, she recognized by logo, all cars that she came across. She was dreaming of driving a Mercedes sedan, angular, solid, with a fuel consumption higher than that of an AMG-made G-Class. Her career started during her first year of being a student at the University of Journalism, in the Sports newsroom of Prima TV. Four years later, she changed channel and position. She became a senior editor in the Sports department of the Antena 1 Television. Following her breakup with television back in 2014, she made a 360-degree turn, from the sports to the car media. Another dream come true, one of revving engines and car sleek lines, so far from the angular sedan that she was dreaming of before 1989. A former pro athlete, she has played handball for the Youth National Team. A graduate of the University of Psychology, but holding a 17-year experience in the media. She has been an anchor of Promotor (Protv) between 2000-2013 and of Fotbal Look (Look Tv) in 2014. She A has done civil aviation, flying helicopters, but she stands as the first woman to ever fly a Mig-21 Lancer and a IAR-99 ȘOIM. She went to war zones such as Afganistan in 2013, where she made a feature on the Romanian Romanian military. She is a level 3 diver (Rescue Diver), she holds a driver’s license for all vehicles (A, B+E, C+E și D+E), but also certifications for freight and passenger transportation. She is the youngest of the team. She loves jokes with blondes, as she is one of them, and laughs each and every time she hears one. She graduated the University of Journalism and masterd in Publicity and Media Communication. She is curious and joyful, finding the positive in everything, gathering gazzilions of friends around her. What is she doing for AutoExpert? She is writing features, interviews, she develops new partnerships, she keeps in touch with the media partners and plenty others. She is the person who wants to do everything in a single day. Patience is not her virtue. Instead, her enthusiasm is contagious, managing to put the team on the line each time. Adrian Cobzașu loves life and loves people, and he’s got a thing for cars and motorcycles. He is been working in the AutoExpert team since 2007. Bogdan Paraschiv has been in the car photography world since 2003, when he joined the Freelancer agency. He had worked before as a media photographer for daily newspapers and periodical publications. The chance to work int the world of motorsport and for the specific magazines has always been extraordinary to him, because the action photography, and car photography especially, is his favorite style. 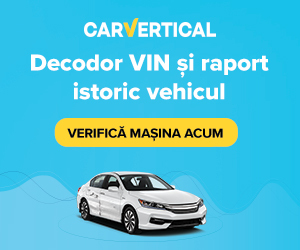 Portofolio: editorial and commercial collaborations with Dacia-Renault, Ford Romania, BMW Romania, BCR Leasing, OMW, Red Bull, Orange, Vodafone, FRAS.